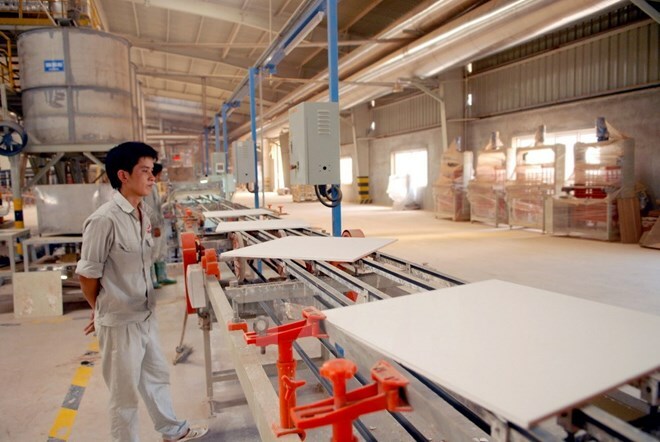 Dong Nai (VNA) – Thailand’s Siam City Cement Group wants to expand investment in the production and supply of construction materials and waste treatment in Vietnam’s southern province of Dong Nai. Chief executive officer of the group Philippe Richart made the remark at a working session with the provincial People’s Committee in Dong Nai on August 8. He noted that the group has invested in the Holcim cement plant in Nhon Trach district, and moves to expand the operation of this factory in the coming time. Siam City Cement will invest in building an industrial dry mortar plant and a transit station for construction material in Dong Nai, he said. It is also focusing on waste treatment, he said, adding that the group is using the latest technologies in this field. Vice Chairman of the provincial People’s Committee Nguyen Quoc Hung cited a number of key projects being carried out in the locality such as the Ben Duc-Long Thanh, Dau Giay-Phan Thiet, Dau Giay-Da Lat expressways. The construction of Long Thanh airport will be launched in 2019. Therefore, the local demand for construction materials is extremely huge. Additionally, with over 26,000 active domestic businesses and 1,000 foreign investment projects, the province also needs investment in waste treatment, he said.